Could Halloween be just the thing to bring your family even closer together? With a group costume, it just might. Consider choosing a theme with your kin and all taking part. The family costume can be a great option for young families and groups trick-or-treating together. Looking for more Halloween costume ideas? Check out the best pop-culture costumes of 2015, clever couple's costumes and costumes just for kids. 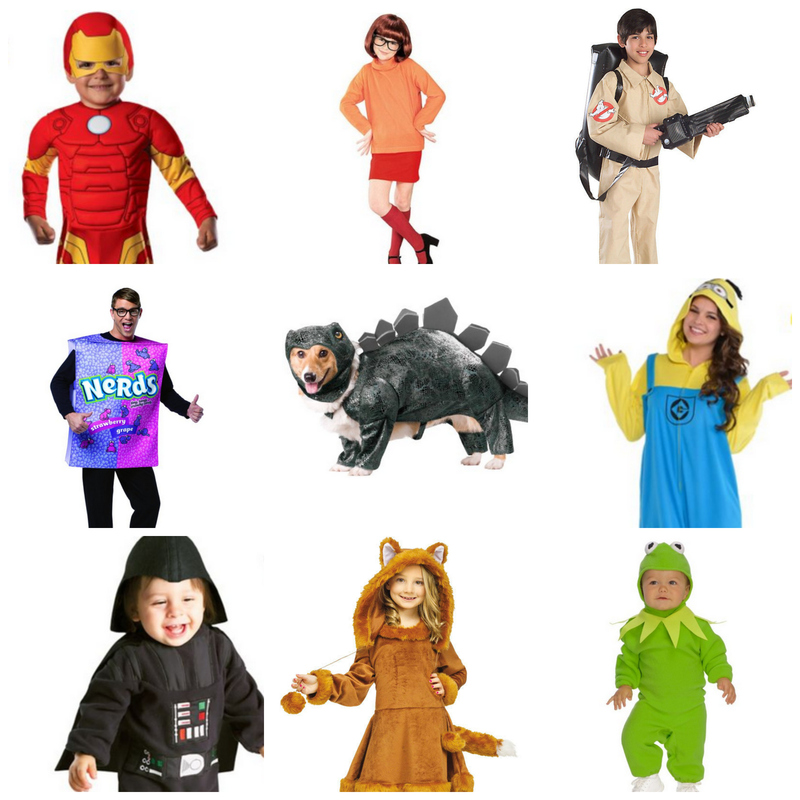 They are also a great to jump start your thinking around a great group costume for October 31st. Mix and match these costumes to create the ultimate superhero family! For wigs, accessories and more, head to Costume SuperCenter's Avengers page. Get your gang together to celebrate some Halloween mysteries with this clever group costume for all ages. If your family can't get enough of these little yellow fellas, consider going as them for Halloween! These are a great option if you live in cold climates, as they lend themselves nicely to full coverage! For more Minions, check out Costume SuperCenter's Despicable Me page. Some think Halloween is all about dressing up, while others are in it for the candy! This family costume idea merges both! May the force be with you in these family-perfect Halloween ensembles. Check out more gear on Costume SuperCenter's Star Wars page. These classic costumes are making a comeback this year in the wake of the new show The Muppets on ABC. Go green in a totally new way this Halloween! And for more options, check out the TMNT page. We cannot wait for Paul Feig's new Ghostbusters film due out next year! While we wait, these costumes will have to do! How cute is this combination of wild animals! The great part about this costume, is you can continue to add animals for bigger families or take them away for smaller ones. Dinosaurs are fun for the whole family! There are some great dog costumes, too, including this Stegosaurus getup that is just too cute.